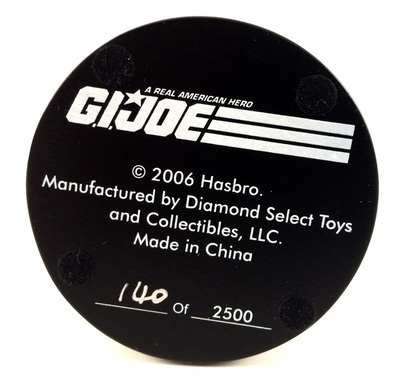 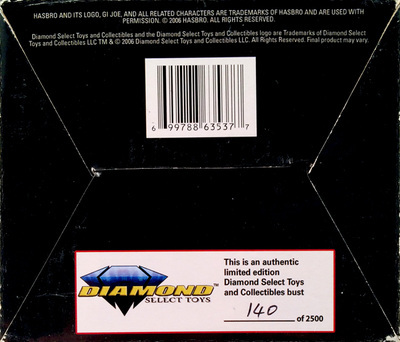 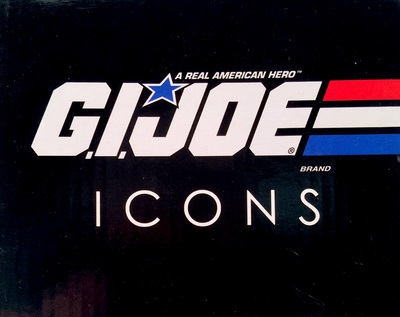 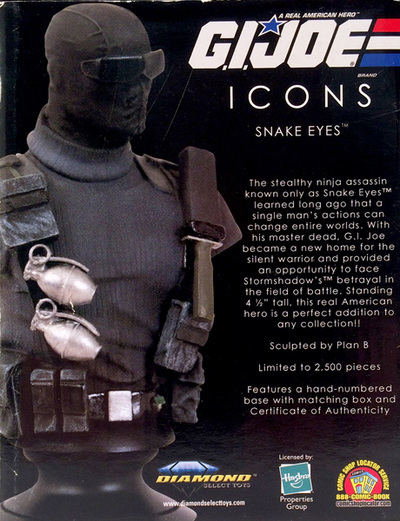 Diamond Select Toys released the 4.5" Snake Eyes "Icons" bust in March of 2007. They were limited to 2500 pieces and came with a certificate of authenticity. 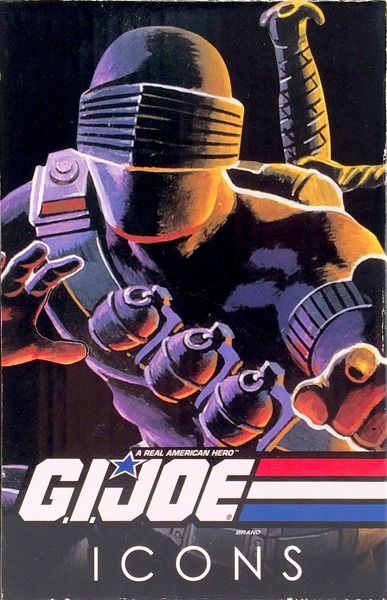 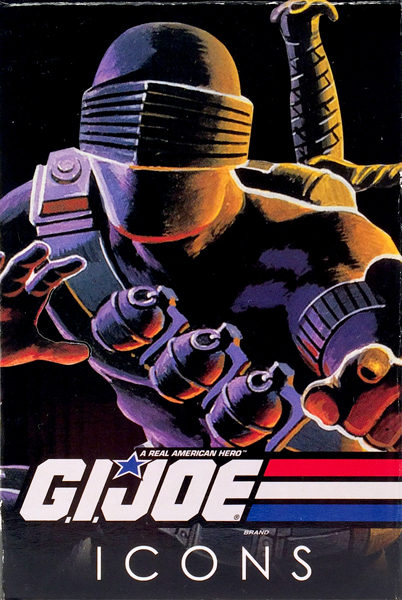 Snake Eyes was the second (and last) in the series. 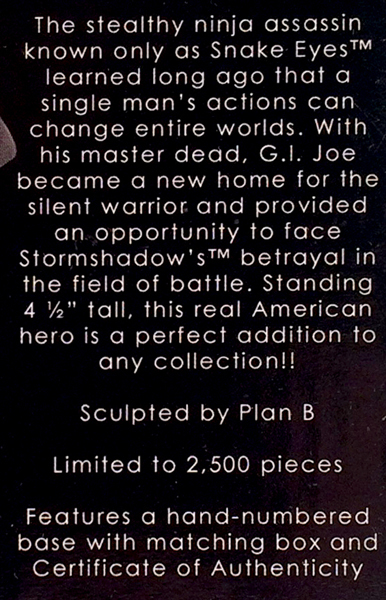 Hooded Cobra Commander was the first. The Snake Eyes "Icons" bust was limited to 2,500 pieces. This one is #140. 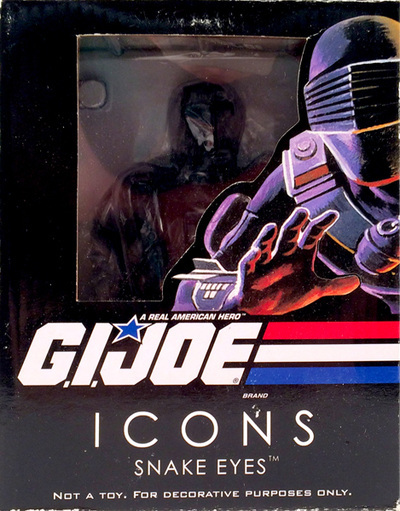 Statue from the collection of Justin Marcoux. Give him a shout over on twitter, he loves to talk Joes!